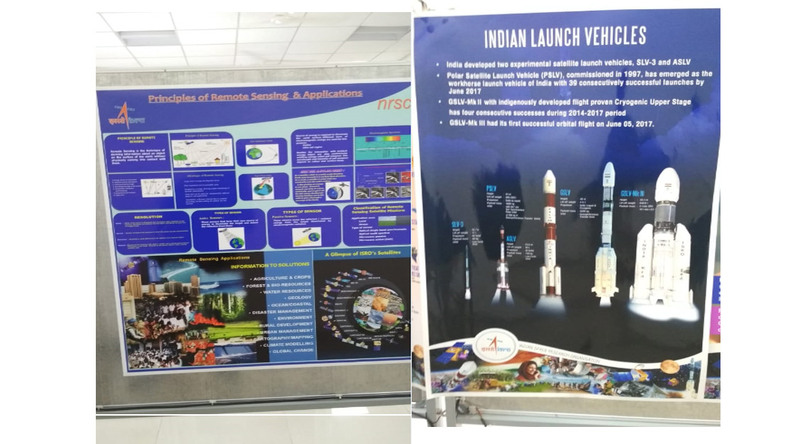 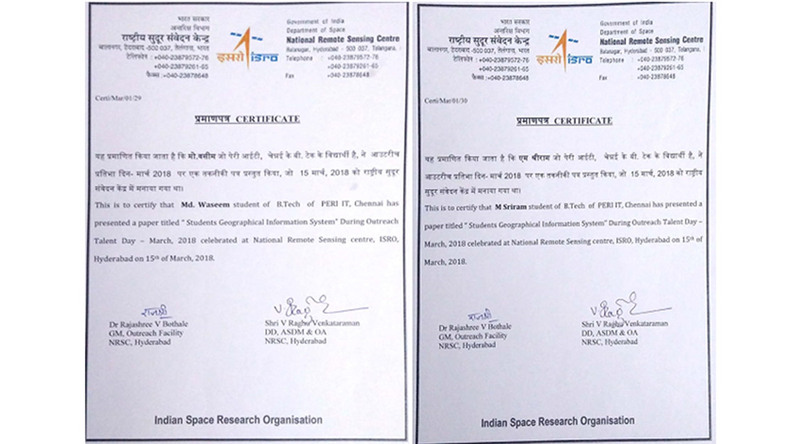 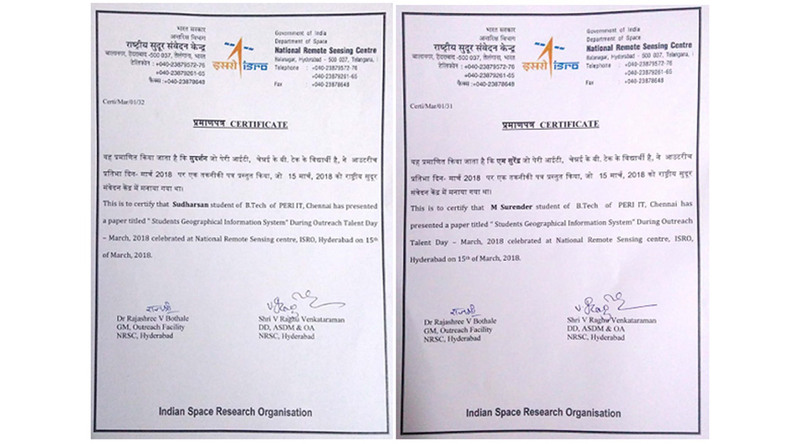 The department of Computer Science and Engineering took immense effort to take the students to “Indian Space Research Organization” to do their final year curriculum project in order to provide them an opportunity to understand practical aspects of the theoretical knowledge gained in the class rooms. 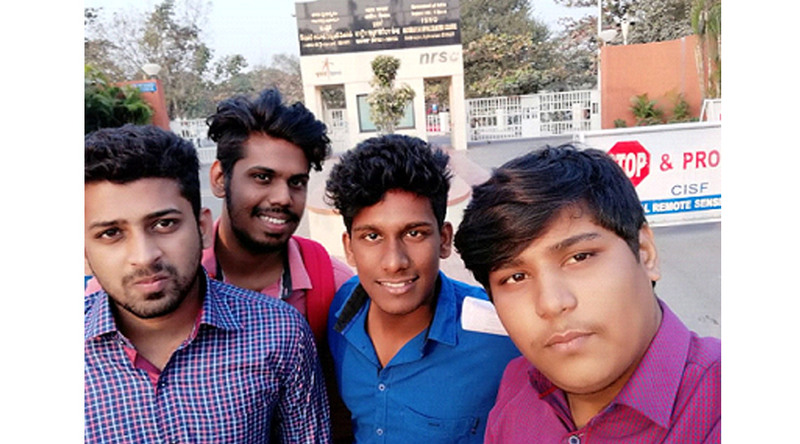 Four of our final year Computer Science and Engineering students Mr.N.Mohammed Waseem Ebrahim, Mr.M.Sriram, Mr.T.R.Sudharsan and Mr.M.Surendar have completed their project titled “ Student Geographical Information System” during the period January 2018 to March 2018 at “ National Remote Sensing Centre, Hyderabad”. 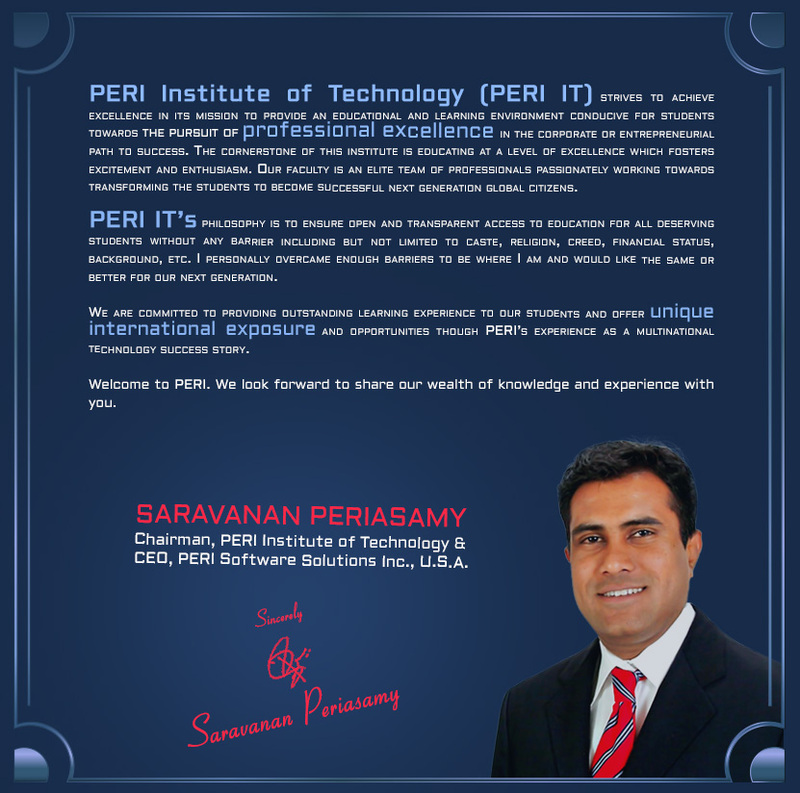 Our Appreciation and Best wishes to all the team members.